Vanilla Bean Sea Salt is made with genuine Tahitian Vanilla Beans mixed with a delicate hand-harvested Sea Salt. 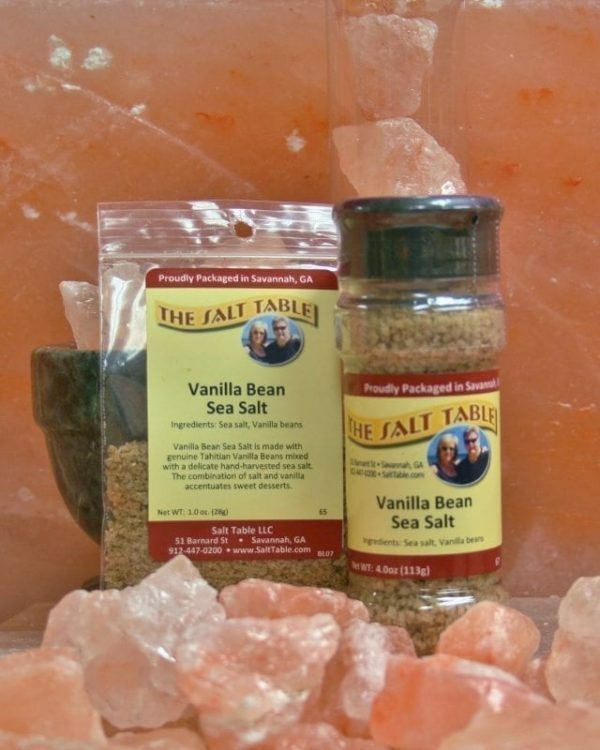 The tasty combination of Salt and vanilla accentuates sweet desserts. Ingredients: All natural sea salt, Vanilla beans.